When I first started dating my fiance I quickly learned of the cheese ball tradition. His family gets together a lot, and for every occasion there must ALWAYS be a cheese ball. 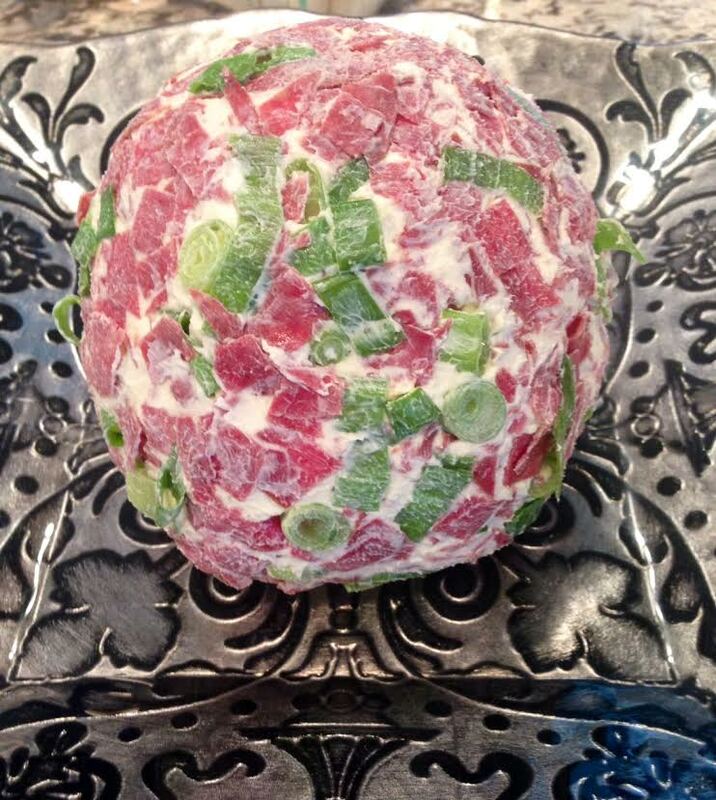 I knew I would fit in immediately after I tasted this cheese ball. Three simple ingredients of glorious-ness. I won’t lie to you kids this is in no way healthy, and I know I like to say everything in moderation, but that goes out the window when it comes to the cheese ball. It’s fregan addicting and its so hard to walk away. God’s speed! Start by dicing the scallions. Reserve some of the dried beef and scallions for the very end so you can roll the outer layer in that as well. 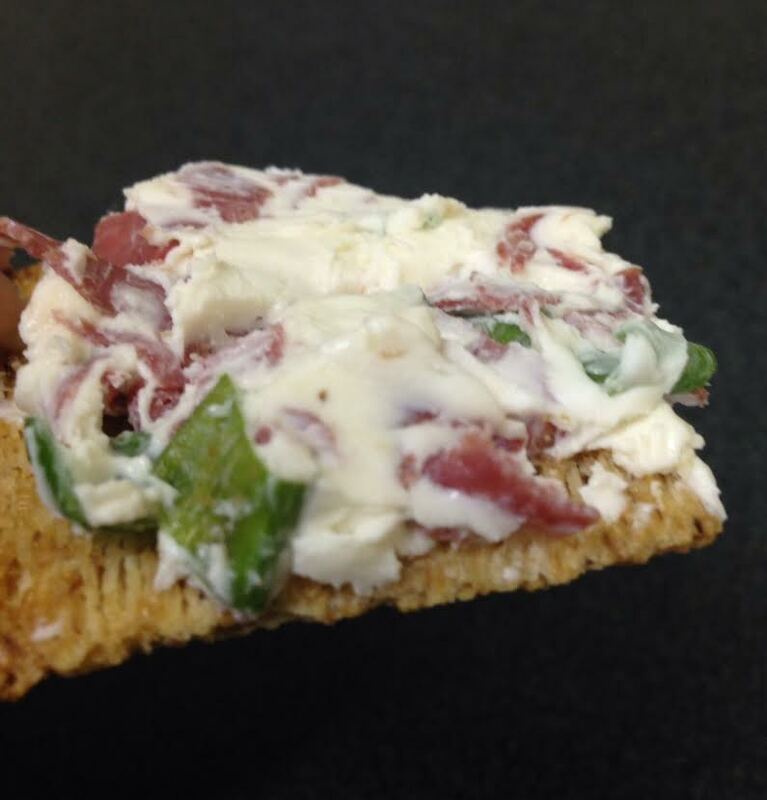 Serve with crackers, my favorite are Triscuits with sea salt or Wheat Thins. I stole this recipe from Wegman’s. It was so delicious and healthy, a perfect side for Thanksgiving! Arrange in single layer on large baking sheet. Roast 25- 30 min, until tender and brown. Remove from oven. 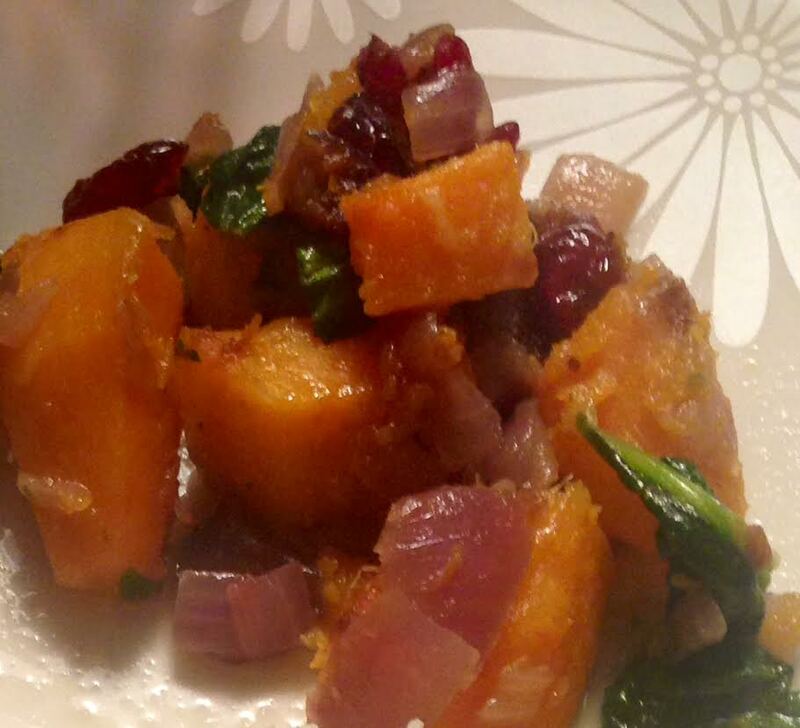 Toss squash, spinach, and dried cranberries in large shallow serving dish.